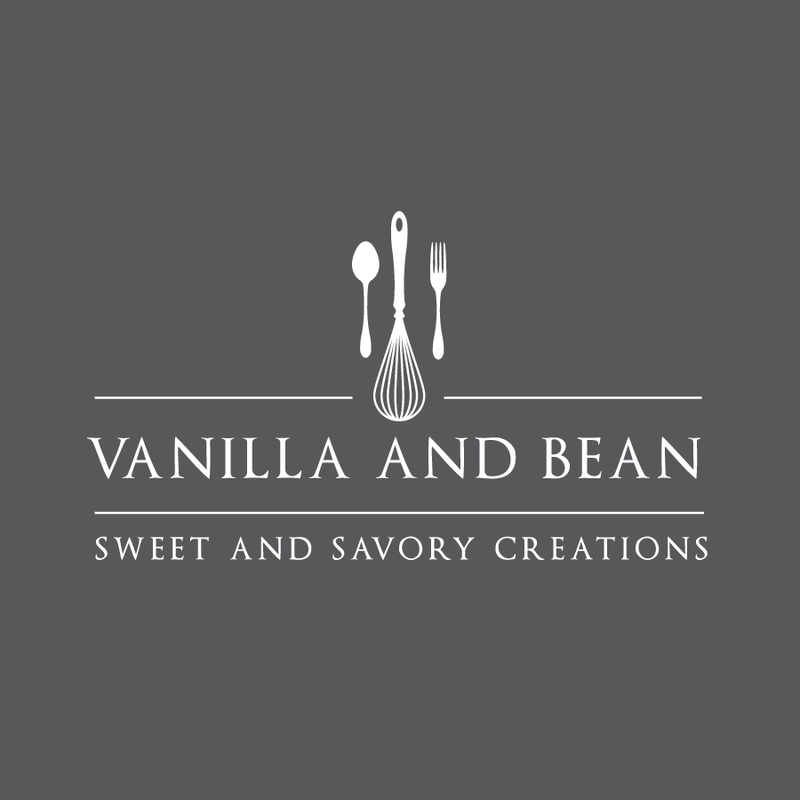 When I first started making nice cream (or nicecream? ), I kinda went nuts trying all kinds of flavors and combinations. I was amazed at how frozen bananas, a little fat and just about any other flavor I threw at it could turn into a dessert that even had me by-passing the ice cream! I turn to making vegan banana ice cream (aka nice cream / nicecream) when I want something sweet, fast, and when nothing else will do. It’s incredibly simple and only requires a few ingredients that you probably already have on hand. 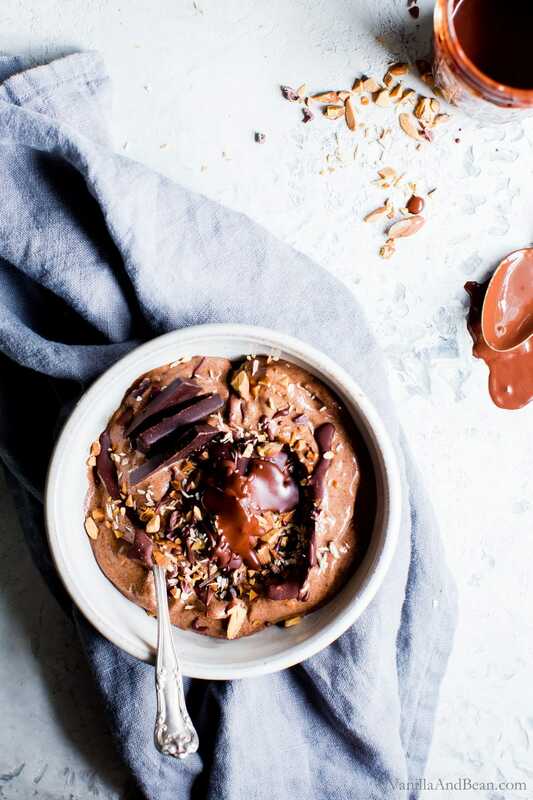 It takes a only a bit of preplanning because nice cream starts with frozen bananas and in this recipe, almond butter, then just whip all the ingredients up in a food processor – or blender! 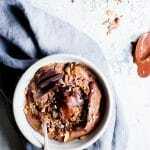 Mexican Chocolate Almond Nice Cream Bowls recipe comes from Lindsay Cotter’s new book Nourishing Superfood Bowls; 75 Healthy and Delicious Gluten-Free Meals to Fuel Your Day. It’s packed with whole foods recipes, with delicious and creative flavors to inspire. 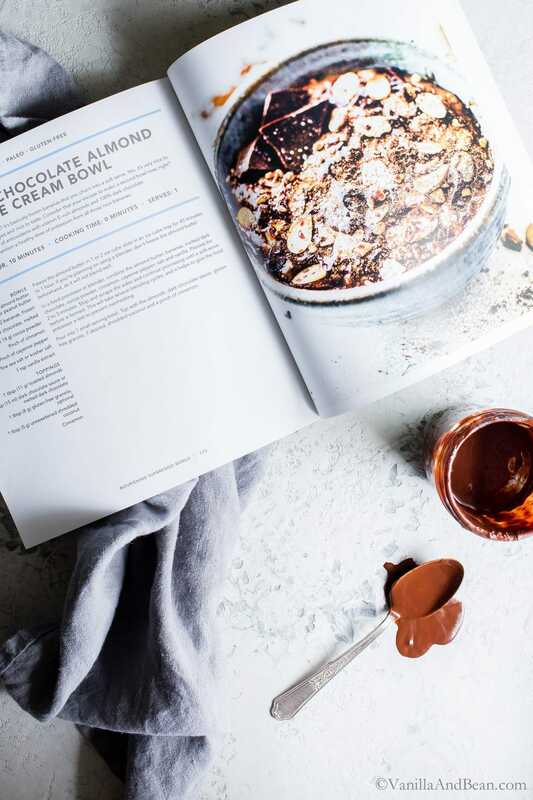 Lindsay’s book caters to a variety of diets, but in each recipe, she suggests ways to modify the recipe and includes vegan, paleo and vegetarian options where appropriate so everyone can enjoy her scrumptious creations. Plan ahead! The bananas and almond butter need to be frozen at least 1 hour in advance. A food processor or blender can be used to make nice cream. 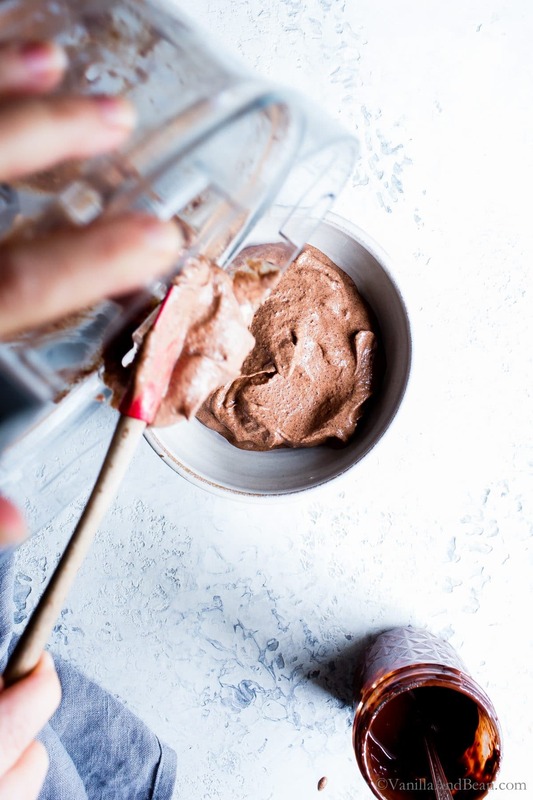 If using a blender for this recipe, Lindsay notes to not freeze the almond butter because a blender has difficulty handling it. Need vegan chocolate? This resource lists many. Nice cream tastes best when enjoyed right after making it. The texture is smooth and the consistency is where you want it to be. I find freezing it completely changes it’s character. If you’ve not check out Lindsay’s blog, do it! 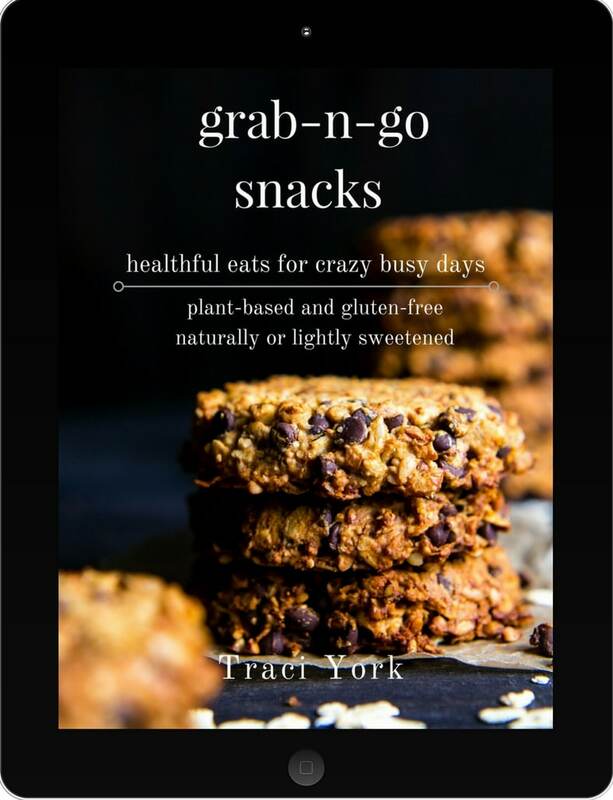 She has so many delicious recipes with drool worthy photography and be sure to check out her new book on Amazon – just look at those glowing reviews! If you’re new to nice cream (or not), I hope you’ll give this recipe a go! Freeze the almond butter (in ice cube tray) and bananas at least 1 hour prior to processing. 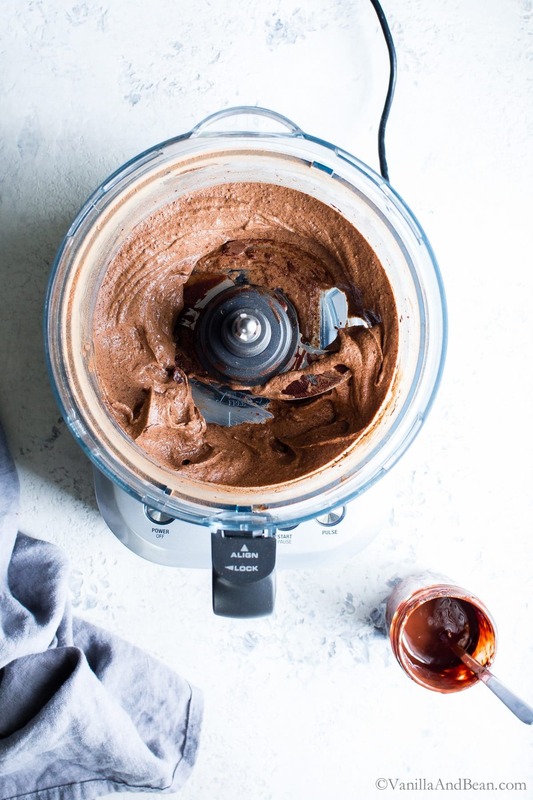 If using a blender, there's no need to freeze the almond butter as it will not blend well. 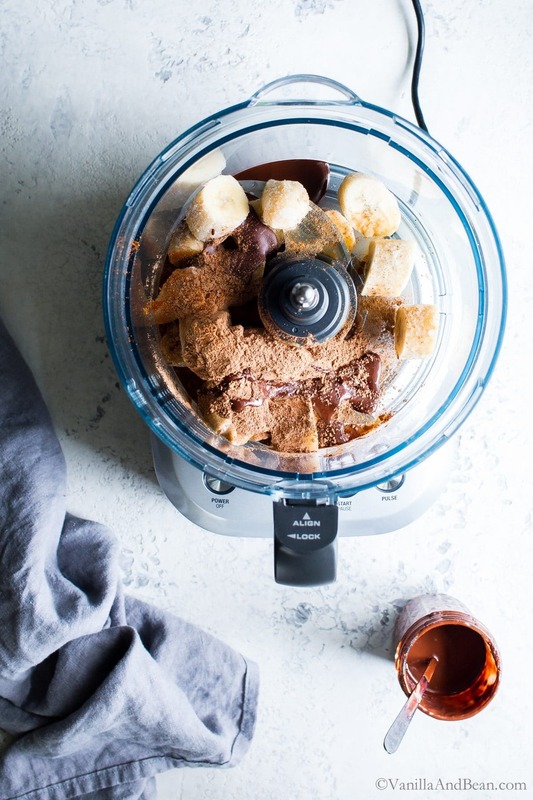 In a food processor or blender, combine the almond butter, bananas, cacao, cinnamon, pepper, salt and vanilla. Process for 2-3 minutes stopping to scrape the bowl down several times. Continue processing until a soft-serve texture is formed. With the processor running, drizzle in the melted chocolate - it will freeze on contact to make tiny chocolate flecks. (The food processor may need short breaks in between to prevent over heating). Pour into 2 small serving bowls. Top with optional toppings and enjoy right away. Find vegan chocolate just about everywhere now! This resource lists many. Recipe adapted from Nourishing Superfoods Bowls. Yes! This nice cream flavor is right up my alley. I still need to grab a copy of Lindsay’s book. It looks beautiful!! This looks fabulous Traci! And a little kick to it with the spice ;) Sounds delicious and perfect for spring! Yeeeesss!! My love language. :) My bananas ice creams are always so plain (but still good!) so I especially love Lindsay’s jazzed up version here! Cinnamon + cayenne add that special kick and love all the pretty toppings. Putting it on my dessert list! Hi Codrut.. only slightly with a pinch of heat. You can leave it out if you like… it’s still Muy Bueno!!! I’ve never tried nice cream before, Traci! I’ve heard of it but never made it. 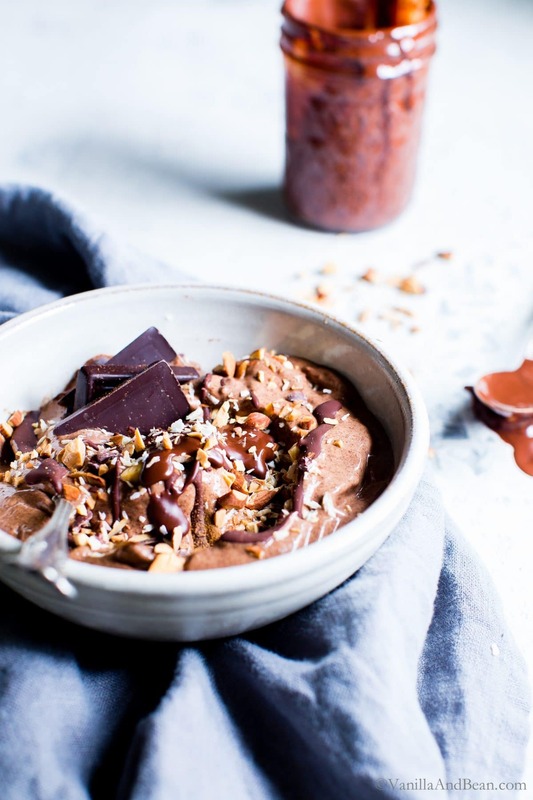 I always have frozen bananas in the freezer for smoothies – so will need to try this. My mom is coming out in a couple of weeks to visit so will try this with her – she has a sweet tooth. Looking forward to checking out Lindsay’s book! I love all of Lindsay’s recipes and this does not disappoint! Can’t wait for some warmer weather around here! I always keep bananas in the freezer for when cravings strike. This looks just perfect! I LOVE Lindsay’s blog Traci! Her recipes/photography are always super! And this nice cream?! Looks spectacular! Perfect sweet treat to keep me on the healthier track! Well done! Yeah! I know, right!? This nice cream is fabulous! And SO easy! Hooray!